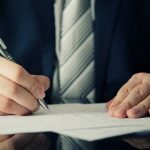 Most estate planning lawyers, accountants, and financial advisors in the field of traditional estate planning are taught only two things: protect the clients’ material wealth from the evils of probate and taxes. Now let me ask you, just as a reality check, how do most people actually plan their estates? In our experience, they either do nothing or they create a simple Will, to look after a lifetime of work and savings. But let’s face it, traditional estate planning ignores some of the most important issues, like what happens if you become disabled during life, or, at the time those assets get passed on, how they will impact the surviving spouse, the kids or grandkids. Planners forgot to address issues that ended up being more divisive that even taxes and court matters. Families are often split apart by disputes about who gets the family photos or who had dibs on Mom’s pie plate. More tragically, these ineffective plans dumped assets on the kids only to see them wiped out by divorces, where up to half of the family’s wealth is carted off by a departing spouse that nobody liked anyway. Also, the surviving spouse and kids were left exposed to lawsuits and creditor claims. Finally, many families felt guilty over the fact that they never took the time to capture the memories, wisdom, and life stories of their parents before they were lost. If I ask any of you today, what do you value most in your life? Clients tell us it’s their family, health, friends, values, skills, and relationships. What was the biggest investment you ever made in your life? Here’s a clue, it’s not a financial asset. It’s the time, energy, love and commitment you invested in instilling the values that were handed down from generation to generation. My goal as your estate planning attorney is to introduce you to a more holistic view of family wealth, something more than just our finances. Now that you understand the components of a Legacy Wealth Plan, we need to look at some technical issues. For those of you who have been procrastinating up until now, it’s important for you to understand why effective estate planning should be a big priority for you. And for those of you who already have a plan, we’ll explain why we believe most traditional estate plans don’t work. It’s very simple. After practicing law for quite some time, our experience is that most estate plans we see are poorly drafted, and don’t protect families from real life issues – like the prospect of losing everything due to Nursing Home costs. They are not properly funded. Clients did not take the time and effort to change the title of your assets to the name of the trust. Also, most plans are not properly maintained by the clients. They don’t reflect changes in the law or incorporate new estate planning strategies. This is true whether you have a simple or complex Will, whether you have a “bare bones” Living Trust, or some other document. With many people getting remarried after the death of a spouse, we find very few plans that protect the assets of the original family from a new spouse and their children. Finally, traditional estate planning never captures the legacy of your family! 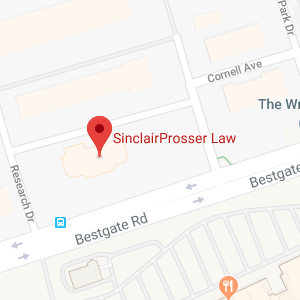 At SinclairProsser Law, I can discuss with you all the features that should be in a properly drafted estate plan that will protect your “total wealth” and enable it to be passed down to generations to come.